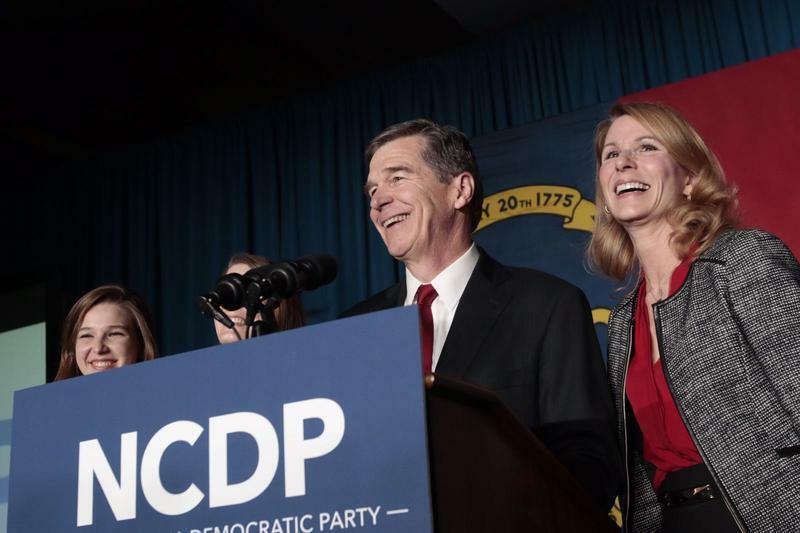 McCrory And Cooper Race Still Undecided: Now What? North Carolina gubernatorial candidates Roy Cooper and Incumbent Pat McCrory are locked in a tie with their race likely heading to a recount. Last night, North Carolinians watched as successful candidates for President, U.S. Senate, and State Supreme Court took to the podium to thank crowds of exuberant supporters in their acceptance speeches. But one race is still undecided: the race for North Carolina's governor. Only a few thousand votes separated Republican incumbent Pat McCrory from his Democratic challenger Roy Cooper. Host Frank Stasio talks about the North Carolina Governors race with law professor Steven Huefner and WUNC Capitol Bureau Chief Jeff Tiberii. The race flipped back and forth throughout election night, Jeff Tiberii, WUNC Capitol Bureau Chief explained on The State of Things. McCrory was in the lead when more than 90,000 late ballots streamed in from Durham County, moving the race in Cooper's favor. The attorney general currently holds an edge of about 5,000 votes, a margin narrow enough to likely prompt a recount and delay a final result for several weeks. According to a release by the State Board of Elections, county boards must meet to conduct a provisional ballot count. By state law, each County Board of Elections is responsible for tallying the results of provisional ballots. On Nov. 18, each county board of elections will certify its total election results. If the difference between the two candidates is still 10,000 votes or less, a candidate may request a recount. A written demand for a recount must be submitted to the State Board of Elections by Nov. 22. The final election results will be certified by the State Board of Elections at a public meeting on Nov. 29. Host Frank Stasio spoke with Steven Huefner, law professor at The Ohio State University, who explained how the provisional ballot process works.